Oh, Stitch Fix, how I missed you. Getting new clothes dropped in the budget priority for awhile there, but with a big event coming up, I needed some new threads. I let my stylist know I was attending an auction and would love a cute dress to wear that could also be worn to work. She sent two! It was hard to choose between them. 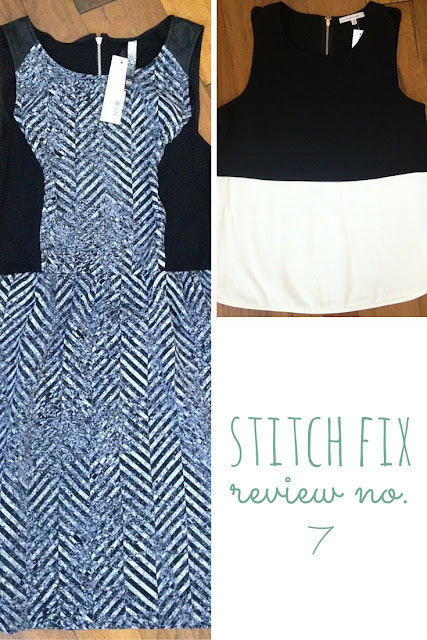 If you're new to Stitch Fix, here are the essentials. 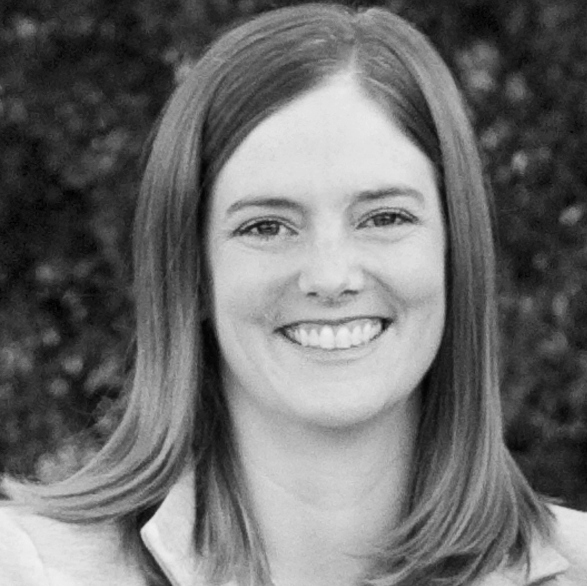 You fill out a detailed profile on the Stitch Fix website, then schedule the date of your fix and pay $20. 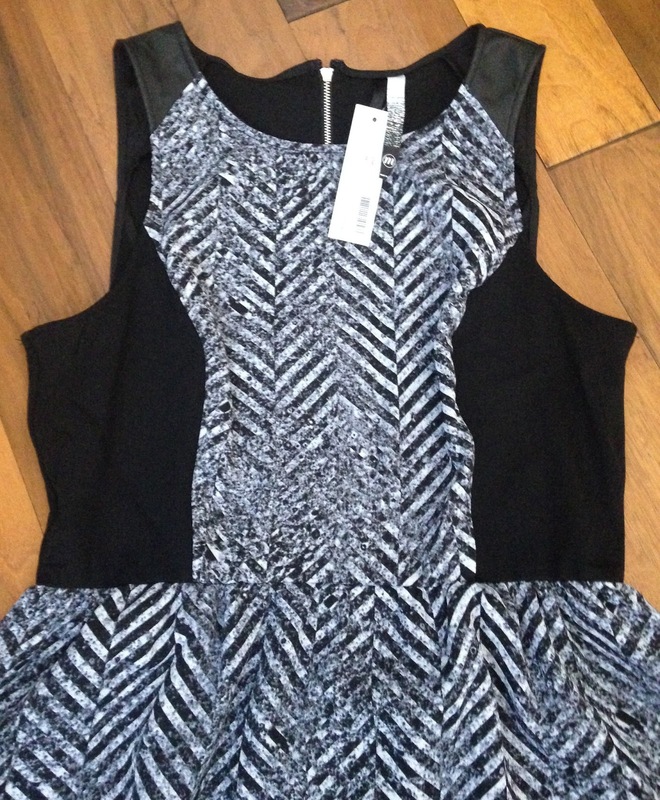 Stitch Fix sends you five items of clothing and accessories. You keep what you like and send back what you don't within 3 days, in a provided envelope. If you purchase nothing, you lose the $20 styling fee. If you purchase anything, the $20 styling fee is credited toward that purchase. If you keep everything, you get 20 percent off the whole order. In exciting news, Stitch Fix has released a coupon for the first time since I've been paying attention. A closeup of the speckled pattern - pretty cool! The shoulder pieces are faux leather. So can you guess what I kept? 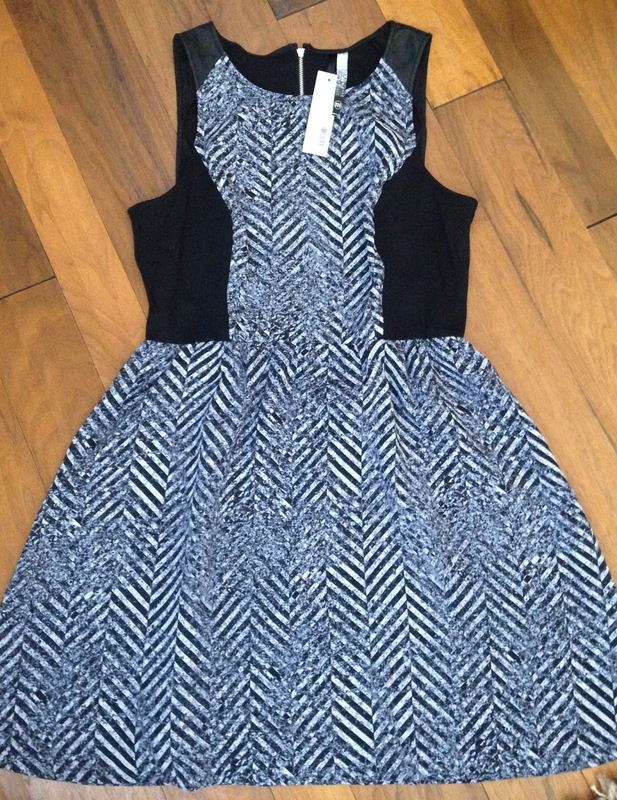 I only needed one dress, so went with the chevron because (a) I am obsessed with chevron and (b) it would be more practical for the auction, where I will be running around as a volunteer. I don't want to have to worry about the wrap dress being a bit too open while I'm helping out! I also kept the colorblock top. 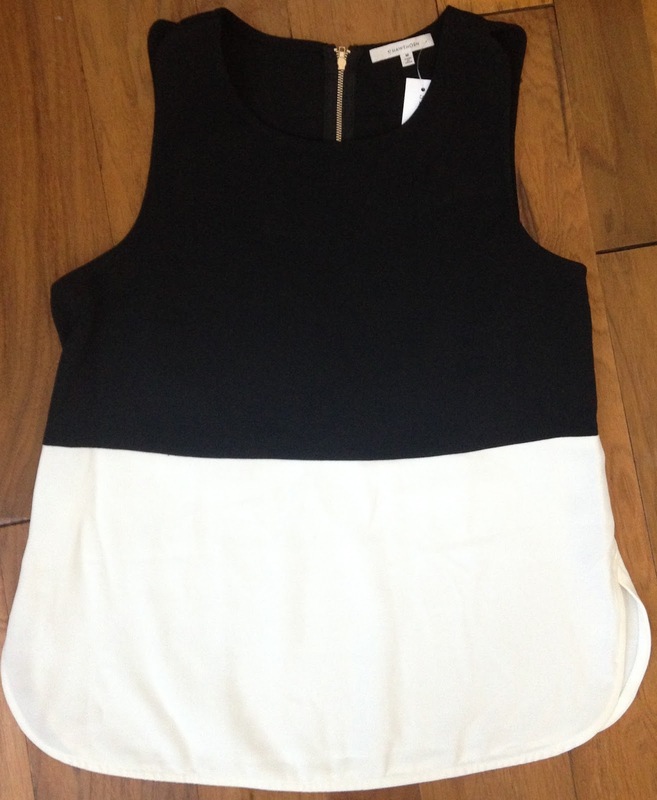 It is so perfect for wearing under a blazer for work or with jeans when it's warm out. The zipper back is very cute, too. 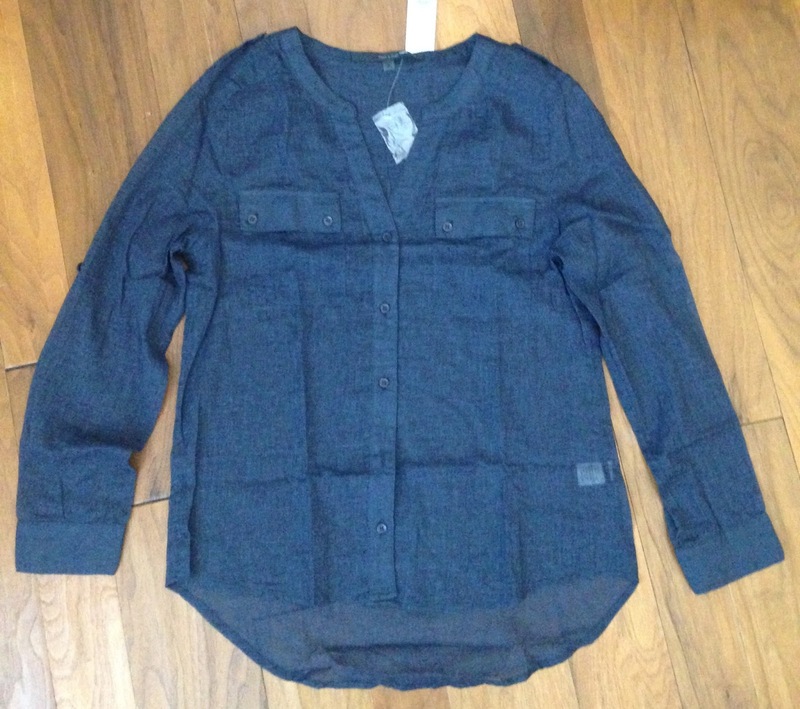 The blue button up shirt was so perfect, except the sleeves were about 2 inches two short, so back it went. 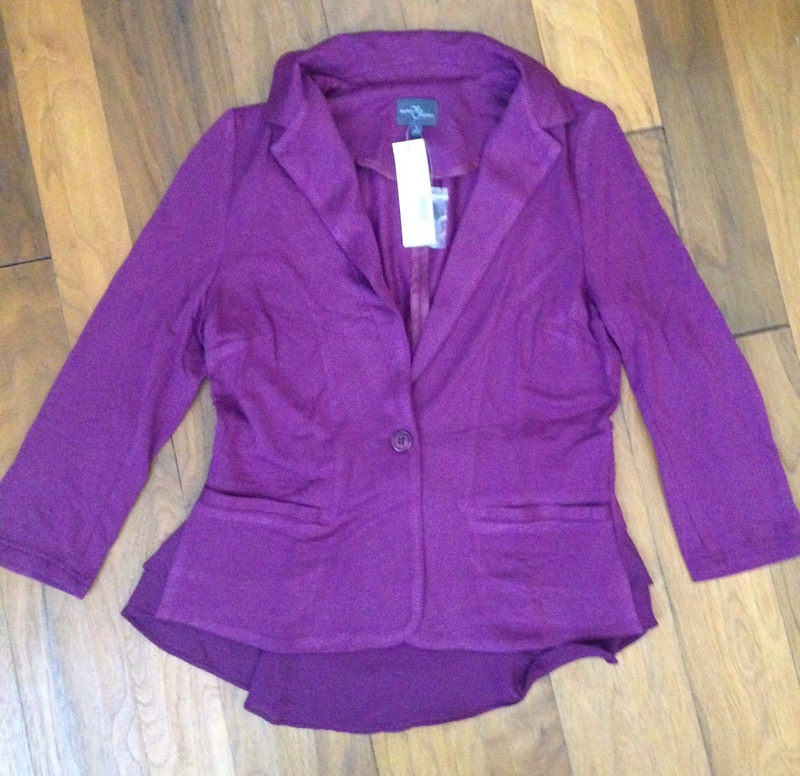 And the purple blazer was well made, soft, and cute, but I don't own anything purple and I'm trying to make a closet full of clothes that coordinate. Plus, I just don't really like purple! So, there you have it! I kept two out of five items, but I will love them. 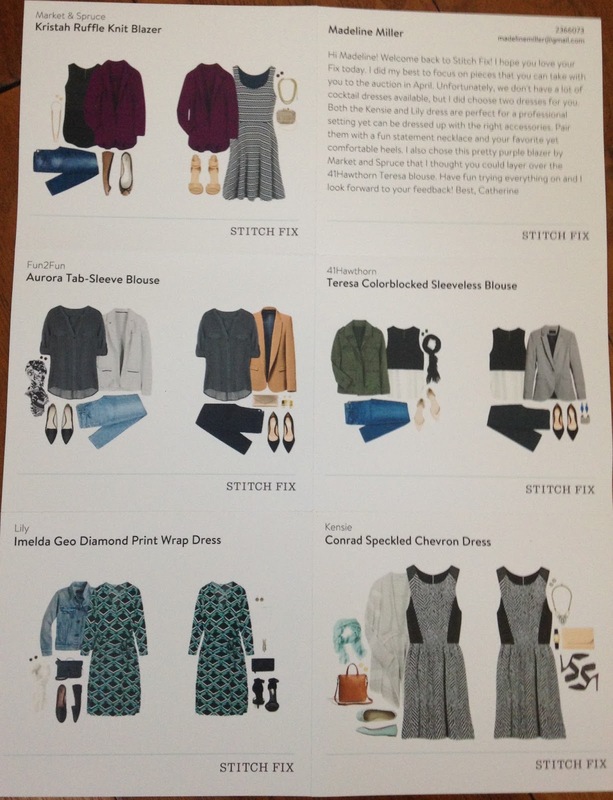 Let me know if you have any questions about how Stitch Fix works. My best advice is to be brutally honest in your profile - pick your actual style, not the style you wish you had.